So the other day I had NOTHING planned for dinner and I was going to be home for about 2 hours before my son's ball games and I had a LONG LIST of things that had to be done. I knew we needed something EASY and FAST since it would be a late dinner. I had everything I needed for nacho/tacos but all my hamburger was frozen and I normally have Hamburger Browned and Froze for times like this but no luck this day. 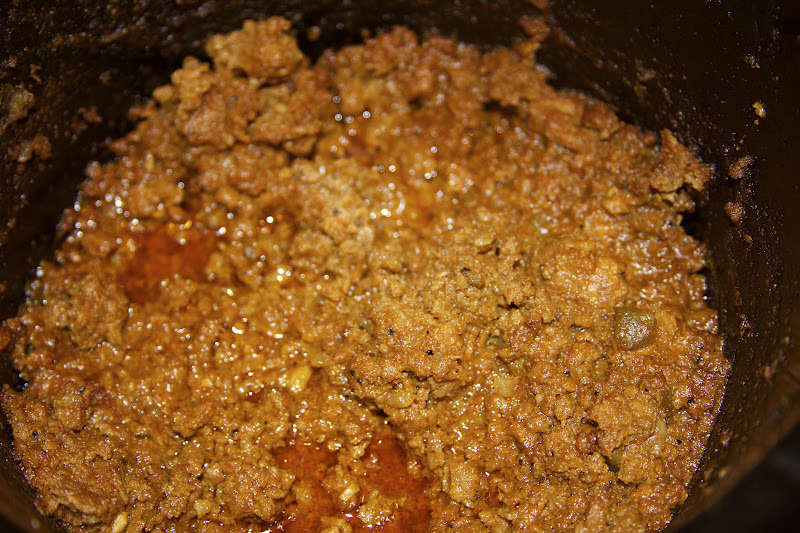 So I thought I would try to make some taco meat in the slow cooker, and it worked out great. 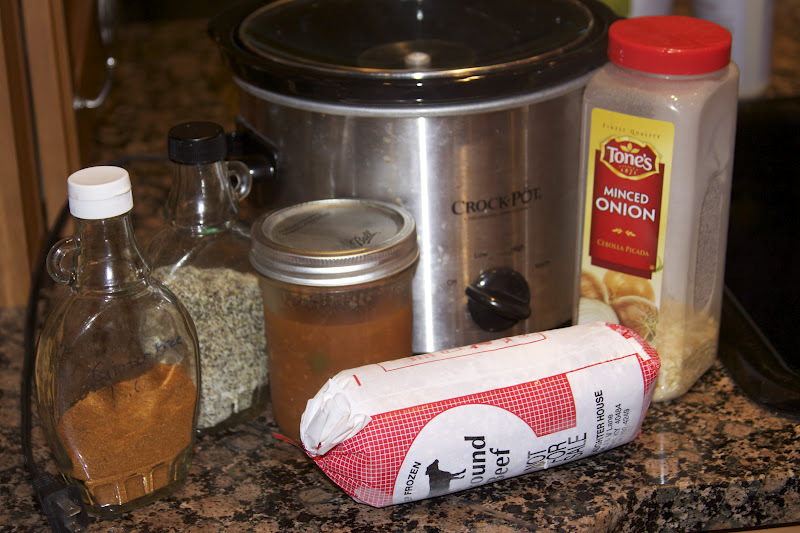 Put EVERYTHING into your slow cooker on HIGH for 2 hours stiring every 30 mins. After the 2 hours I put my on warm while we ran out to our ball game and I was able to have dinner on the table in 10 mins after we got home. I also pulled out some Slow Cooker Refried Beans out of the freezer to go with this meal. 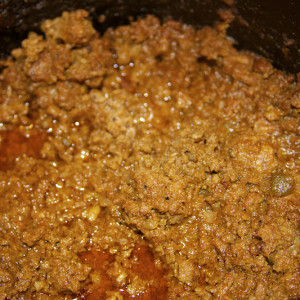 Once this taco meat was cooled I also froze half of it to have for another day for a fast meal. Nachos are one of our favorites and it makes for a fast dish when I have beans and meat already cooked and frozen.